7th China (Sanya) International Orchid Show will be held in Sanya Orchid World from 10th to 17th January, 2013. The 7th China (Sanya) International Orchid Show will be held in Sanya from 10th to 17th Jan 2013. The event has attracted exhibitors from 20 countries and regions, including Thailand, Myanmar, Singapore, Malaysia, Germany, Denmark, Ecuador, Brunei, Switzerland, Hong Kong, Macao and Taiwan. There will be 96 varieties of orchids featured, and a series of orchid themed activities including an orchid signing ceremony, international orchid forum, lectures on orchid plantation and floral arts, auctions for orchid calligraphy & paintings and an orchid photo exhibition. The main venue to host the event will be the Orchid World Cultural Tourism Zone in Tianya Town. Covering 8 hectares, the area is the world’s largest orchid theme park. 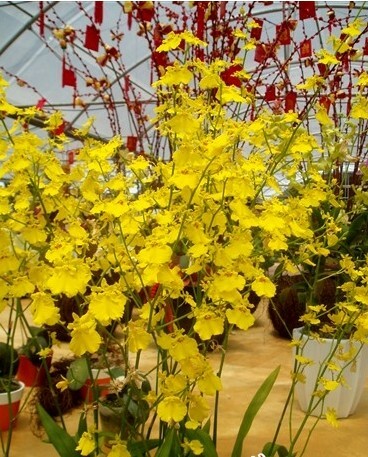 The exhibition is co-sponsored by the Chinese Flowers Association, Hainan Orchid Association, and organized by the Sanya Forestry Department and Best Goldlines Enterprises Investment(Hainan) CO., Ltd.